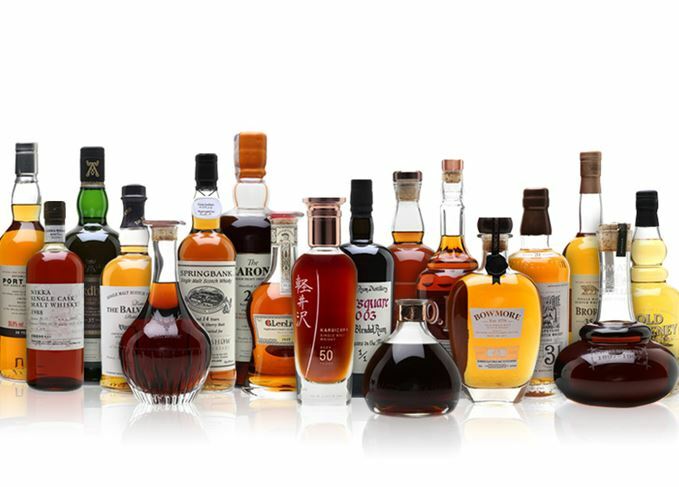 Online spirits auctioneer Whisky.Auction has unveiled the full roster of ‘exceptional’ spirits, including a 50-year-old Karuizawa and the ‘best Macallan ever bottled’, being auctioned to raise over £200,000 for Plastic Oceans later this month. The list of 21 confirmed lots, many not revealed when the auction was announced in September, includes a 50-year-old Macallan Millennium Decanter, a bottling that previously sold for HK$392,000 (over £38,800) at auction in 2017, and a one-of-a-kind 37-year-old Ardbeg. Other lots recently announced include a bottle of O.F.C. 1990 vintage Bourbon, marking the first time a bottle of this whiskey has ever been sold in the UK, and a 1998 Yoichi which has never been sold outside of the distillery in Japan. The rare whiskies join the previously revealed ‘highlights’ including one of two 50-year-old bottlings from closed Japanese distillery Karuizawa, which is said to have the potential to set a record for the most expensive Japanese whisky ever sold at auction. Sukhinder Singh, founder of Elixir Distillers, which has donated the bottle, said: ‘This is the best Karuizawa I've tried and possibly one of the best whiskies I've ever tasted, full stop. Whisky expert Dave Broom describes the Karuizawa as being ‘hugely aromatic’ with notes of ‘spiced exoticism’, dried apricot, sour cherry and integrated smoke. One-off bottlings of a 38-year-old Port Ellen and a 45-year-old Dalmore were also unveiled in September. Isabel Graham-Yooll, auction director for Whisky.Auction, said: ‘Every now and then an auction line-up comes along that has spirits collectors and connoisseurs on the edge of their seats with excitement. This is one of those auctions. All proceeds from the bottles, which were donated by producers and distilleries, will go towards non-profit organisations around the world battling the impact of single-use plastic waste, including US-based organisation Plastic Oceans. The bottles were on display at this year’s Whisky Exchange Whisky Show, which strictly prohibited single-use plastics throughout the event. Julie Anderson, global executive director for Plastic Oceans, said: ‘We are honoured to be a beneficiary of the auction and very excited to see the programmes being implemented by the organisers to reduce their single-use plastic footprint at their events. The auction begins on 18 November and ends on 27 November. For more information and to register interest in the auction, visit Whisky.Auction. Cult bottles spark furious bidding wars and soaring prices. But just who is being greedy here?